Hi guys! How has your week been? I'm really looking forward to my long weekend, despite not having too many plans. I believe I have to go to a cookout on Saturday, but that's about it. We always go to the neighboring town's fireworks because they're just better. Other than that, I think I'll be laying low. Tonight I have the first set of cremes from the Zoya Wanderlust collection (there are 8 in total). I would have preferred 6 shimmers and 6 cremes, but that's just me. Shall we see what the first set has in store for us? Hi guys! TGIF! I can't complain about this week. I just found out that I'll have a 4 day weekend for the 4th of July, so I feel like I should do something special. I guess we'll see. 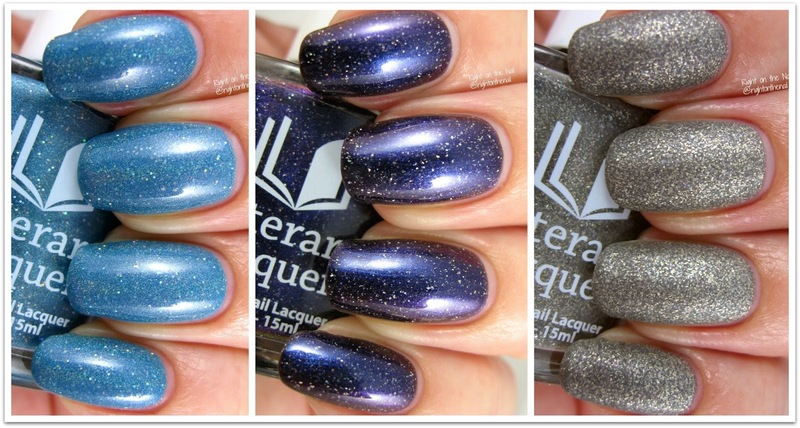 As I mentioned on Wednesday, Literary Lacquers is back today with 24 previously retired colors as well as a brand new trio. 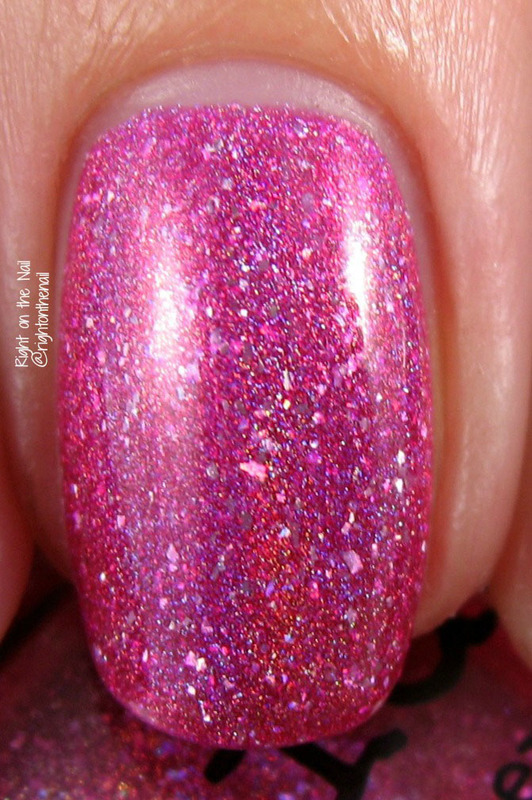 I have 2 of these re-released polishes to show you tonight, in addition to a special gift-with-purchase polish. The store is going to remain open, so feel free to shop at your leisure. I know I was sent these for review, but I'm going to purchase a few that are catching my eye. Let's go ahead and look at these beauties. Hi guys! For some reason this week has been flying by. Things have been going fine here. We are watching our friend's two cats while they are away in Europe for ~6 weeks. Yeah, having 3 cats is enough. The ones we're watching (Jack and Molly) are very sweet, but it is so much more work. Well, my husband is only teaching online courses this summer, so he ends up doing most of the legwork when it comes to the cats (thanks, Mike!). Tonight I'm swatching a new brand on the blog. I've admired Amy from Literary Lacquers from afar for several years, so I'm extremely honored to be able to swatch these for you. Literary Lacquers is coming back after a little hiatus and will feature a brand new trio, as well as a relaunch of 24 fan favorites. And if that isn't sweet enough, there will be a gift-with-purchase during the relaunch which will get you a free mini polish with a $20 purchase, and a full-sized bottle with order over $50. The relaunch will be happening this Friday, June, 23, noon MDT, so set your calendars. Tonight I'll be showing you the trio called Ocean at the End of the Lane which is inspired by the book by Neil Gaiman. Confession time: I've never read anything by Gaiman, but my husband is a big fan. For each polish I'll give my thoughts and description, as well as the passage for which each polish is inspired. Without further ado, let's get to it! Hi guys! So there are 2 weird things with tonight's review. First, this is the first time you've seen my right hand (aka Cindy hand). I've been photographing my left hand for around 8 years, so my right has no idea how to old a bottle properly. Please forgive my weird hand pose for this review. The second weird thing about today's review is that it's a longevity test and not just some swatches. I was given a brand new treatment to help the longevity of your nail polish. 2X Super Chip Resistance is to be used before base coat and polish, and after top coat. I received a promotional bottle with a temporary label, so the bottle you'd get looks different and professional. 2X was invented by Dr. Norman Polston, who was also on the Dupont team that created water-based house paints during the 1980s. 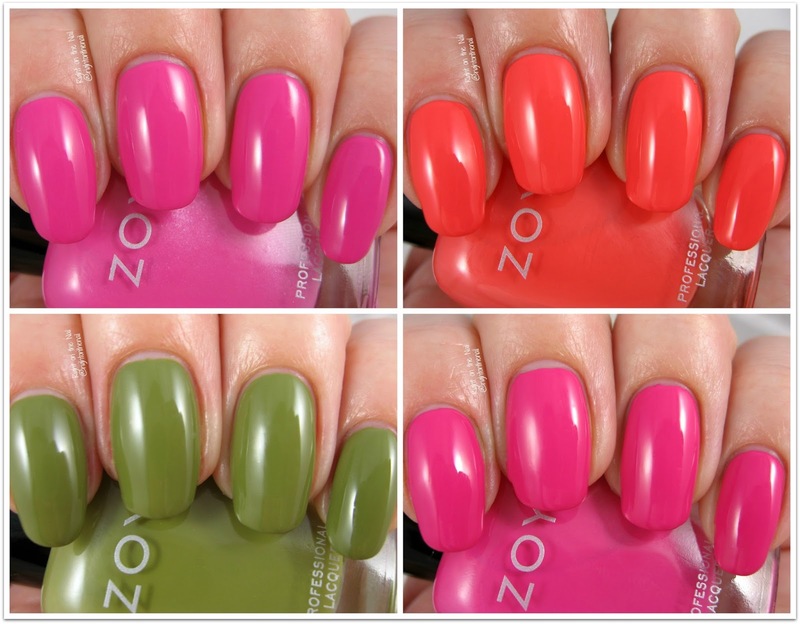 Dr. Polston is also the man who invented water-based nail polish as Piggy Polish which is sold at various stores. I tried getting the MSDS to see what the ingredients are, but I was unable to get that information from the PR representative. Luckily, The Polished Hippy was able to get that info, and found it contains propylene glycol methyl ether. I will say that the scent is nothing like any other nail product I've ever used. If you are sensitive to chemical scents, then this probably isn't a product for you. The scent stays on the nail until I washed my hands, and then it finally dissipated. The formula was watery, and dried very quickly on the nail and added no extra time to my manicure. The first time I used the product, I used a layer under my normal base coat, and then a layer over my top coat. I used the same products and nail polish in the test, with the only difference being the addition of 2X on my index and ring fingers. The nails with 2X started chipping about 2 days after application, while my other nails had no tipwear or chips. I contacted the PR representative, and she recommended not using a separate base coat. The second test is shown above in the photos. The polish is from Zoya which often wears well on my nails. I used 1 coat of 2X, followed by 2 coats of polish, 1 layer of Vapid Lacquer's Get Your Shine On! Quick Dry top coat, and then another coat of 2X. I saw tipwear on the nails with 2X starting on day 2, and the chipping started on day 3-4. As you can see above, I had no tipwear or chips on the nails without 2X. Unfortunately 2X did not extend my manicure, but body chemistry is a weird thing. It seems that this product worked for some bloggers, so it may be worth it to test out a bottle. It retails for $7.99 in their store, so you won't be out too much if you want to try it. To find out more about 2X Super Chip Resistance, check out their website, Facebook, Instagram, or Twitter pages. Hi guys! I wanted to do another quick post today because Zoya has a fantastic sale on their lipsticks going on until tomorrow (June 16th and my Mom's birthday...Happy Birthday, Mom!). All Zoya lipsticks are on sale BOGO Free with free shipping using the code LIPLOVE. I know I haven't had a chance to show the Zoya Wanderlust polish collection yet, but they'll be coming up very soon, I promise. These retail for $12, which is a fair price, but you can get these for $6 using the code LIPLOVE now. What do you think? 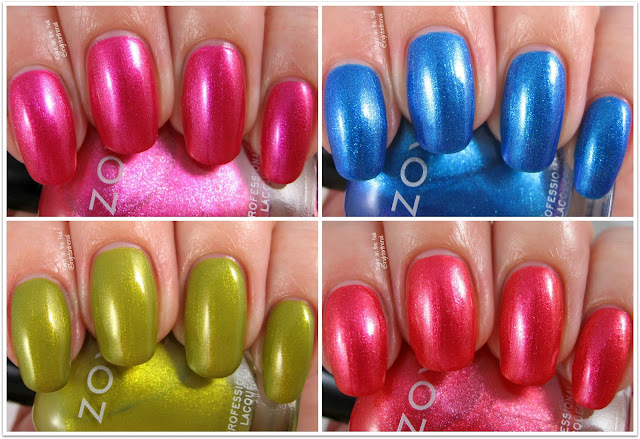 You can find out more about Zoya and their lipsticks on their website, Facebook, Twitter, or Instagram pages. Hi guys! I sure hope your week is going by quickly. I've been fairly busy at work, but I don't have to work any weekends until August (YAY!). Oh, and did you hear that they stopped filming Bachelor in Paradise? I don't know what to think of that story. 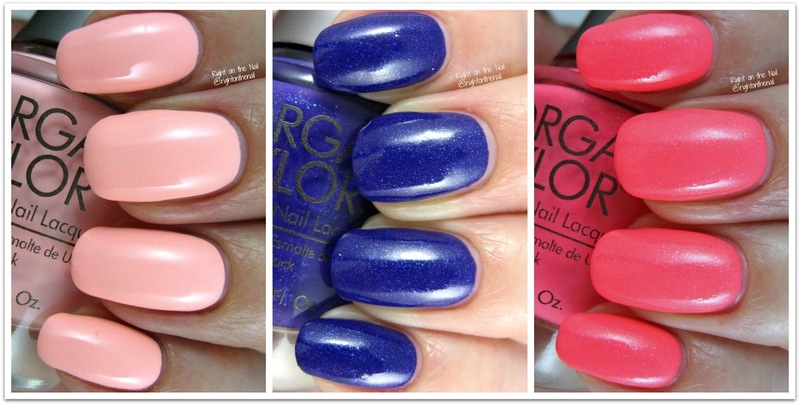 Anyway, tonight I have the final 3 polishes from the Morgan Taylor Selfie Summer collection to show you. This set features colors perfect for the summertime, or really any time you want a pop of color. Shall we get started? Hi guys! I hope you had a great weekend. I went to the Duke Gardens with my family, and it was just gorgeous. I can't believe it was my first time going there! Morgan Taylor just released a new limited-edition 6-piece collection called Selfie Summer which features bright shades to get you looking your best by the pool. I haven't made it to a pool yet this summer, but I have already adorned my toes with some of these gorgeous polishes. Morgan Taylor even sent me a fancy selfie stick to help document my summer. If you've stopped by my social media pages, you'll notice that I'm not really into selfies, but I get it...I still appreciate the sentiment. Shall we get to the swatches? Hi guys! I hope your week is off to a great start! Some of my orders from Memorial Day are trickling in, so you'll be seeing some new brands/polishes coming up. Tonight I have the polishes I bought at the Indie Shop: Atlanta from Poetry Cowgirl Nail Polish. I was lucky enough to have a great conversation with Kristen and her husband while at the show, and I was excited to try her products. Two of the three colors I have to show were exclusives and are no longer available, but the third is still for sale. Without further ado, let's do this! Hi guys! I love when the week flies by due to 4-day weeks! The downside is that I have to work all weekend now. At least this is the last weekend I have to work until August. Tonight I am going to disappoint everyone because the polishes I'm showing were only available at The Indie Shop: Atlanta event (and maybe for a short time on their website). If you weren't able to make it to Atlanta, the Indie Shop will be rotating to different cities, so keep your eye out for that. 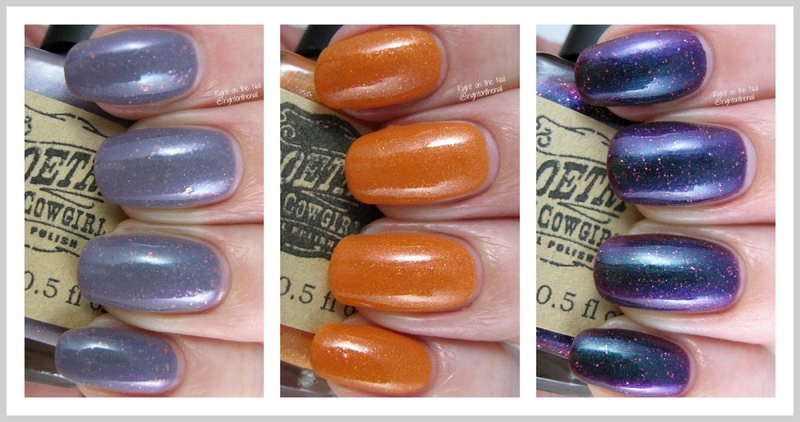 Can you believe these are the first Colors by Llarowe (CbL) polishes on the blog? I hope you enjoy them as much as I do!